Anthony Cleverley perfection - the most classy shoes of them all! In my opinion Anthony Cleverley designs are in a class of their own and no shoos can approach these in terms of shere class. Anthony Cleverley was a total genious. I never used to like them when l first saw the designs, but later the lights came on and they shone brighter than bright in ways too numerous to mention right now. Nothing looks better on the foot because the lasts are a thing of pure genious, and the designs are oh so grand and many are so old world and a man's man shoo. The Anthony Cleverley has that classic canted heel, small heel length and width, narrow waist, with that classically unique long shank that makes it an Anthony Cleverley signiture hallmark. You can wear Edward Green and many rtw brands, but you simply aren't in the big time game if you don't don the Anthony Cleverley on your feet. Edward Green are for the little boy, but Anthony Cleverley are for the really big boys who mean business. This below is the classic Cleverley house style called the Churchill - it is a favourite of George Glasgow Jr and Sr and also my favourite shoo possibly ever. I've wanted this bad boy for 11 years and l am getting something very similar currently made, however THIS is next on my list. The current A.C version is slightly updates with a more refined broguing, but l want the original heavy duty broguing and detail. When l think Cleverley l think of this shoo. The finest dinner pump l have ever seen. This may not be to everyone's taste, but this is old world stuff and shows the class of Anthony Cleverley being reflected for high society. I would love to own this but l am not high society so l might look silly wearing it. It may even make me look like a leprechaun or elf. 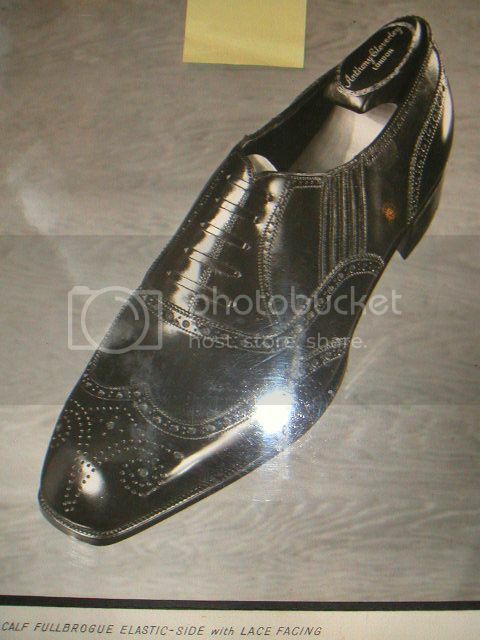 A real old school shoe done in a classic Cleverley style. Right up my alley! Really manly too! When l think of Cleverley lalso think about this shoo too, but l always think of the Churchill model first. This is a good one too:...would have to be a real man to wear it though. Wouldn't mind a pair of those actually...something different. Long shank means the part of the sole off the ground? Yes, can you please explain what you mean by 'long shank'? For whatever reason, I can't open any of the images. do u have a family friendly filter? Dr Jan, you may wish to choose a different browser. In simple language that means changing from something like Opera to Firefox or Chrome or Crazy Browser or the might Comodo Dragon etc. Google up a browser mentioned and download it. Btw Dr Jan, l can never see any of my pictures either, l need to open a second browser - one for uploading photos and one for viewing the forums. 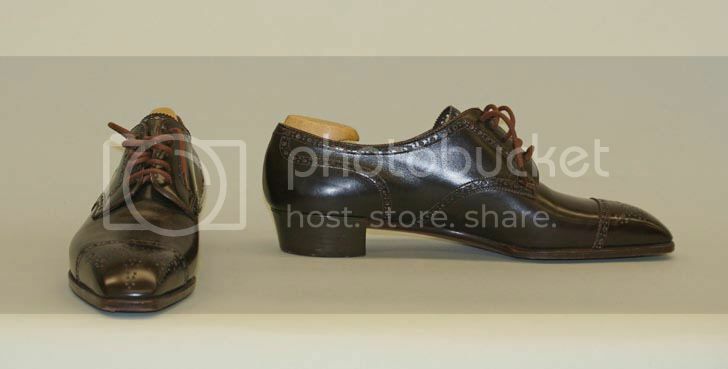 A usual heel of an English shoo is a big slab of leather with no elegance or beautiful shape, ie, the Fred Flinstone heels of Big Johnny Lobb or Edward Green, but alas, the heels of Anthony Cleverley are half an inch shorter which allows the shank to be extended another half an inch, + the heels are slanted to show the world that the man means business. The heel and waist on the A.C is also much smaller overall compared to the brutes of Lobb and E.G. Therefore: Lobb/E.G heel = l am a Fred Flinstone man at heart and l am just a common old log. The Anthony Cleverley heel = I am a man of refinement and elegance and l don't do the Fred Flinstone look thankyou very much *sniff sniff* . 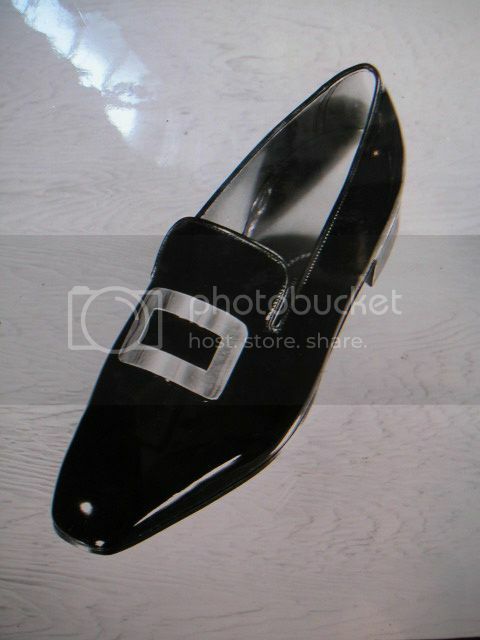 That long shank really shows the fancy man inside and the heel shows he means business! Lobb and E.G = for the cream of the commoners in the shoo world. A.C = for the men who want it all and won't settle for anything less in the shoo world. A.C = looks SMASHING on the feet!!! See, A.C has the magic in multiple ways. It has the long shank, the short and narrow angled heel, it has grand traditional designs that scream Cleverley old world class, and it has a last that flatters the foot unlike any other shoe in rtw. 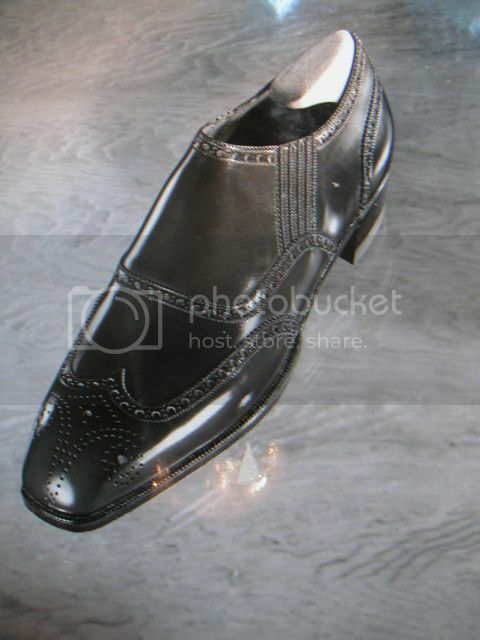 Edward Green top draw = for commoners who want a fancy shoe that looks like highend bespoke, but not as refined a last as A.C and the heels are still big slabs for Fred Flinstone like men who want to look upper crust folks. 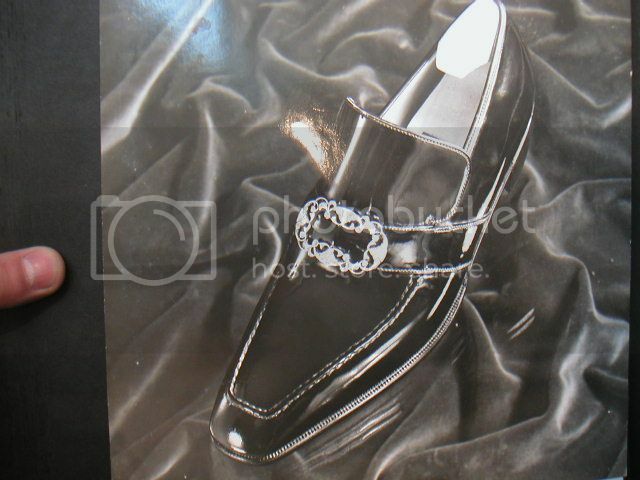 G&G = pretty amazing stuff at lower quality, but still a shoe for flashy commoners. The A.C is a definite cut above, but bravo to Tony for such great design with G&G, he really knows his business. Are A.C worth 2,000 bucks? You bet your sweet boots they are,it allows one to buy into a unique world in the world of shoos, BUT....this is not for your average Fred Flinstone man. These are not your shoos for the average left brained banker or lawyer...these are shoos for a man who has right brained appreciation of artistry and rises above the reptilian thinking of your average log in the work place. This is not for the block heads and the common Fred Flinstone in the work place. If you can't see and appreciate the difference, it means you are Fred Flinstone man at heart, ie, it means you were born to wear blocks on your feet. IF you can appreciate the difference it means you are born to call the shots and rule in `the shoo world'. Cleverley have a class above the rest. Club Cleverley indeed, you either get it or you don't. No words can really express how great Club Cleverley really is and how unique it is in the `shoo world', but Club Cleverley is where the party really gets started my dear friends. I check my various Cleverley out almost every day....had an A.C out last night and could hardly take my eyes off it. If l want a real treat l will line up an Anthony Cleverley and George Cleverley bespoke next to each other...doesn't get any better than that man. Now I can see. I just installed Adobe XI, and that may have made the difference. Hey Dr Jan, l know A.E are really good shoes, but sometimes the feet need a bit of a fancy treat, and l know you are an artistic man, so l hope you put all common sense aside and splash out for a nice highend shoe, just one time. I am only asking you to buy one really top pair and that's it. Dr Jan, will you do it?...just one pair of Lobb or A.C or whatever fits? 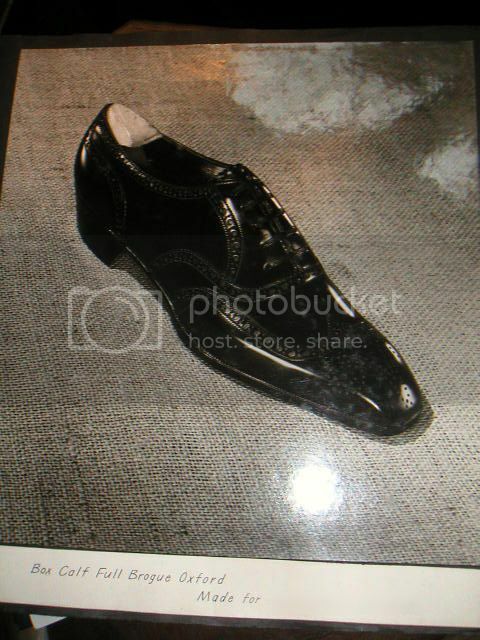 I speak about the Cleverley shoes from a London shoo snob point of view...a view from perhaps a sniffy upper class high society man. I am playing that role and saying it how how l see the Cleverley picture before my eyes. Why? Because when you dig deep you can see such a picture emerging. Personally l am not into that thinking,BUT l can see how such thinking could come to the forefront of sniffy minds of London gents. Me? I prefer to think l have a great imagination. An sloped heel is that some other people call pitched heel? 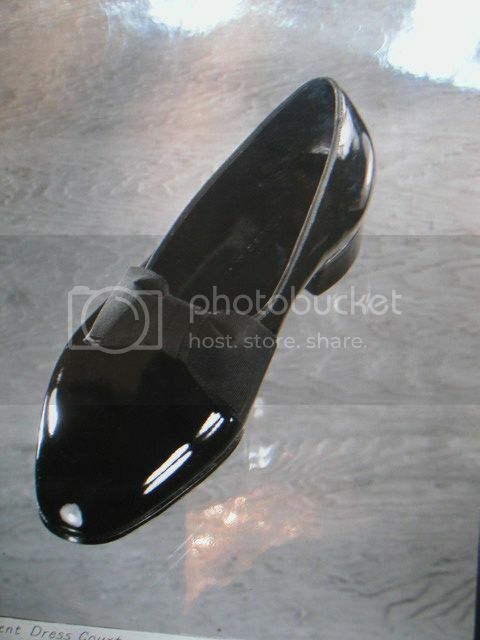 is a sloped heel the same than a cuban heel ? I never understood the difference. 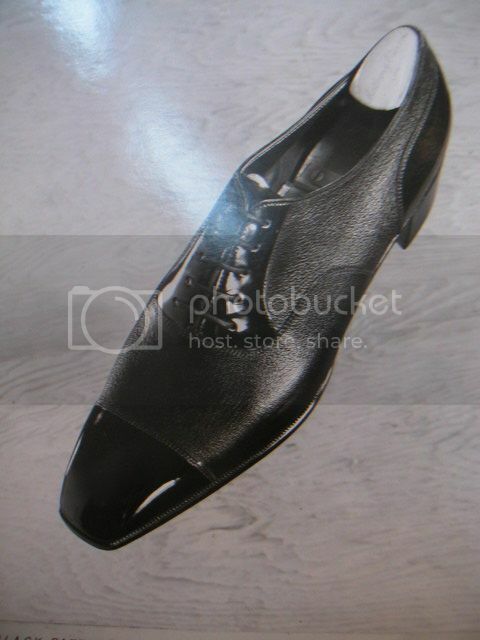 That long shank really shows the fancy man inside and the heel shows he means business! Thanks for the insights. Since you are an obsessive, can you elaborate on the why? Does this all have equestrian roots? What is the origin of it all? It does look a little lighter, more refined, more ethereal, but is that all there is to the look? The Shooman lives in an area where there is not perpetual snow accumulation, I think. AND WHERE DO WE HAVE PERPETUAL SNOW ACCUMULATION??? 'Tis no surprise that your lies continue. Firstly there is your moniker, LKP, which seems unbelievable. It stands somewhere between made up completely related to nothing and to some form of identity theft. I do not know the details but this form of shade should not be tolerated. Shooey saw those Edward Green gators the other day and he's been locked in a room with a bucket of coconut oil and a case of Kleenex ever since. The Cleverly chisel toe was called "the Suspicious Square". I worked with one of "Mr. Cleverly's" makers. We would not have dared call him George. In his 90s, dressed in raincoat and trilby for the Races. Your choice of shoe pictures is superb. Thank you.